It’s Sunday, 4 O’clock in the morning and I got up very early. 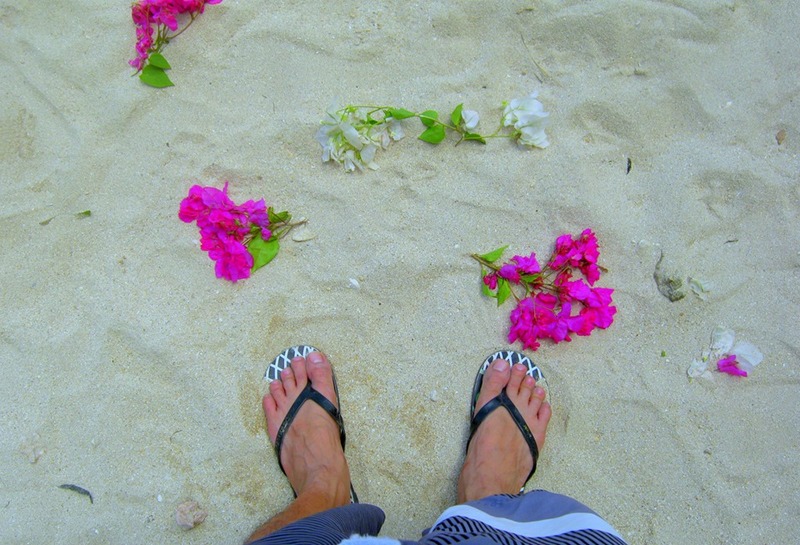 For a week I was already thinking of my next beach getaway specifically Cebu beaches. I turned on my laptop and watched some youtube videos until I stumble into Drew Arellano’s TV program (Biyahe ni Drew). 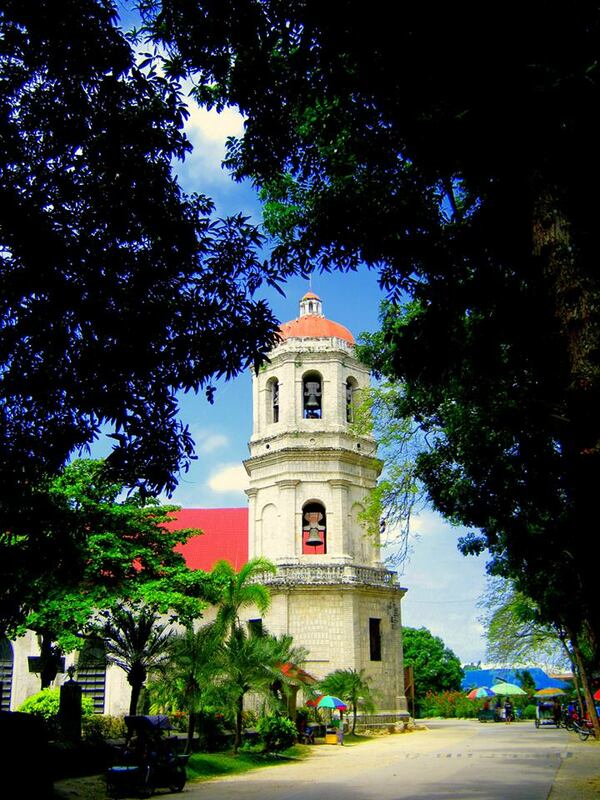 He featured one of the municipality of Cebu province — Dalaguete. It is the home of the famous Osmeña Peak. Within an hour I found myself riding a bus going to Dalaguete — yeah that was a very quick decision! My first stop was at the Obong Spring. The spring is about 50 meters far from the main road. A fee of 5 pesos (quite cheap) will be collected upon entering the street going down to the spring. The spring is really near the beach and so freshwater meets saltwater. I enjoyed swimming in the cold water within the natural pool. 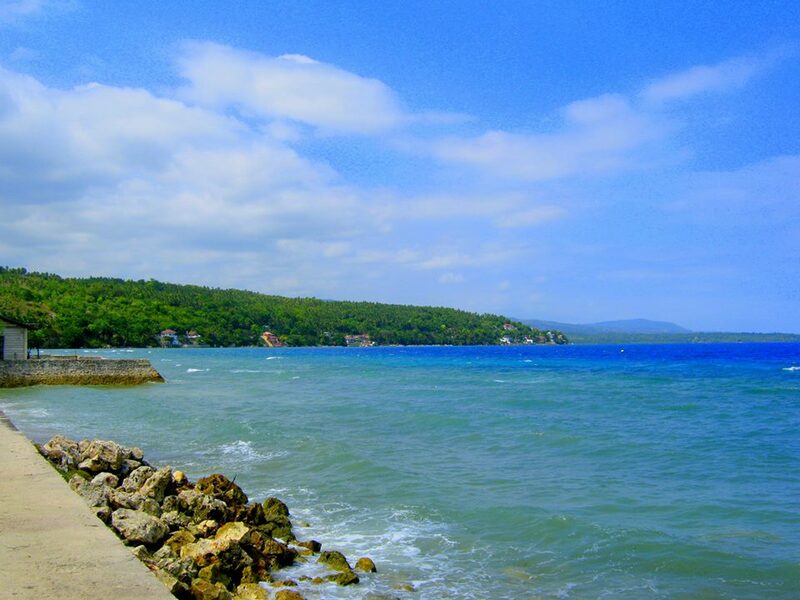 Just around 20 meters from the spring you can also enjoy the the beach and where you can also find the Baluarte or watchtower that was built around early 1800s. This tower served as a defensive structure and that people are able to lookout for any entruders — the Moros. I also went to the Poblacion where the San Guillermo de Aquitana Church is located. 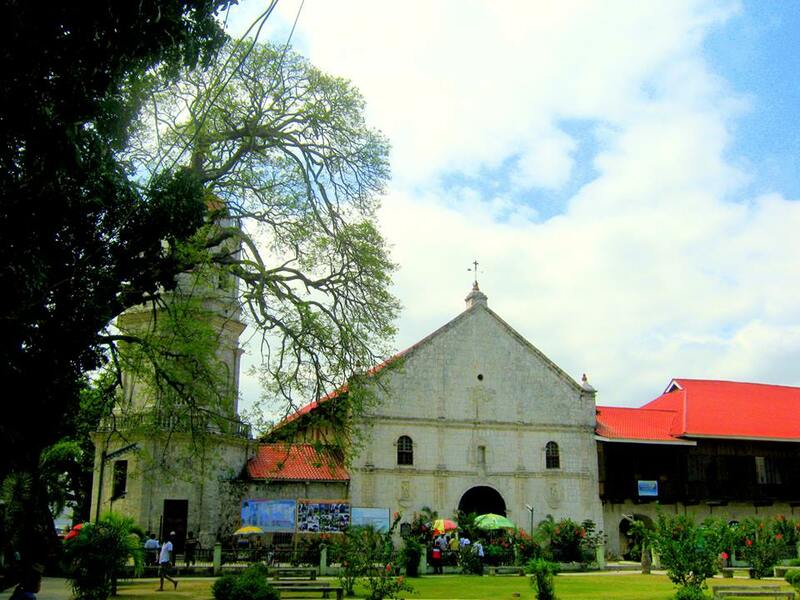 The church was built during Spanish Era (1802). The print in the ceiling was great. 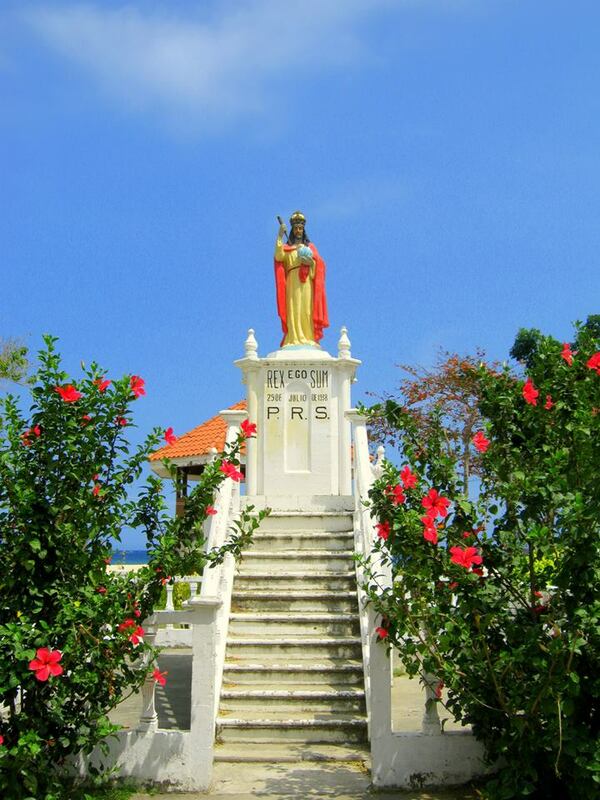 It is a very old church but still very nice and is very close to the beach. When you walk around you’ll notice that certain areas of the church were built with coral slabs. The ceiling murals were recently repainted and compared what it used to look like. Outside there is a shrine which is just as old as the church. 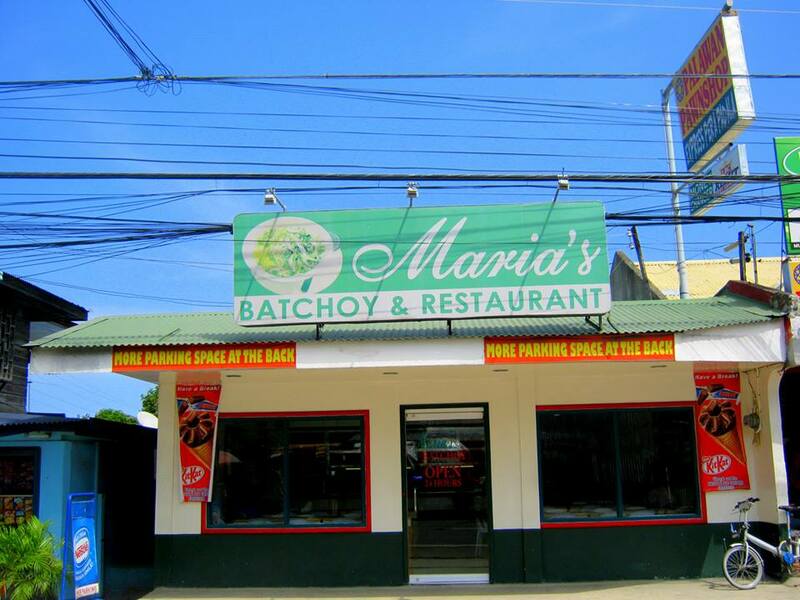 If you can’t go to Ilo-ilo and try their famous batchoy, then you have to taste the batchoy at Maria’s Batchoy and Restaurant. 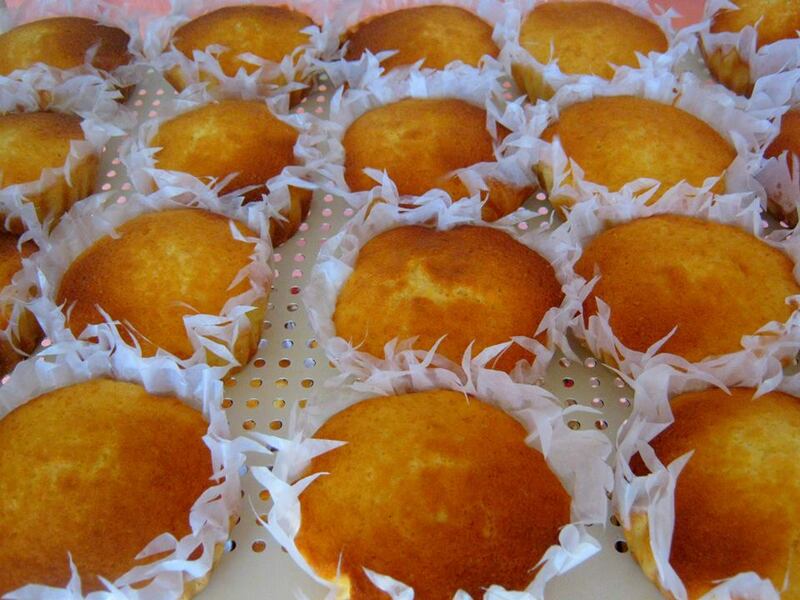 Torta is also a must-try. 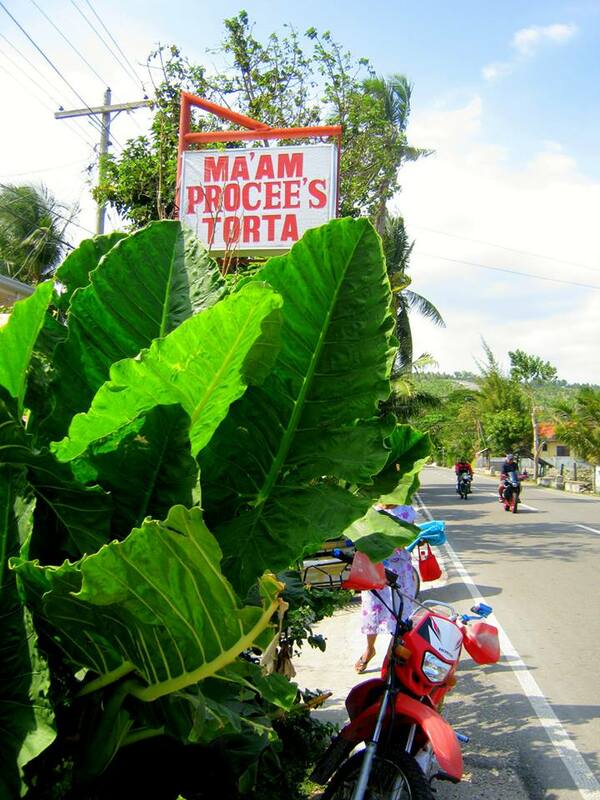 There’s a lot of stall selling torta in Poblacian but a local recommended that I must try the torta from Maam Procees Torta. 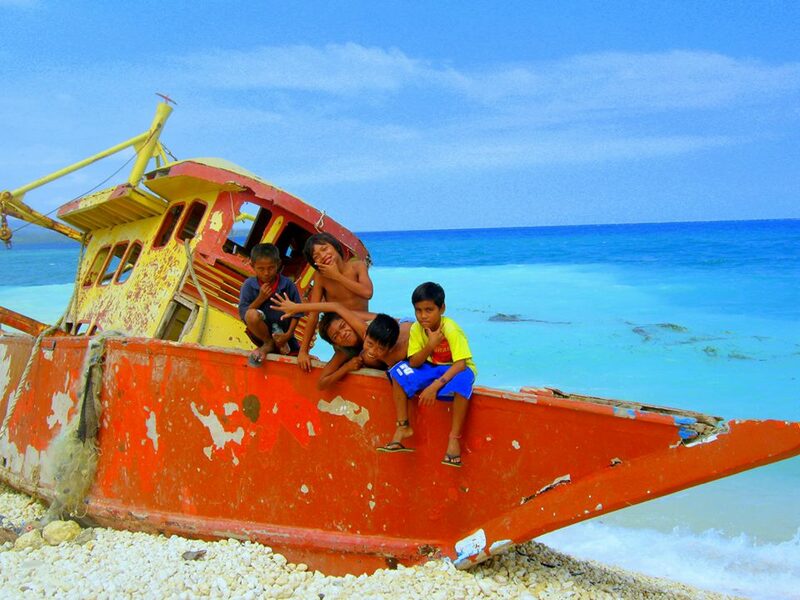 Dalaguete is about 86 km away from Cebu City. You can take a bus from Cebu City South Terminal Bus. The fare is from Php 90 (non-aircon bus) – Php110 (airconditiond bus). Obong Spring is just few minutes away from the Dalaguete proper (Poblacion). You can tell the bus driver to drop you off in Obong Spring, They all knows about it. A fee of Php 5 will be collected upon entering the vicinity and the spring is about 50 meters away from the entrance. 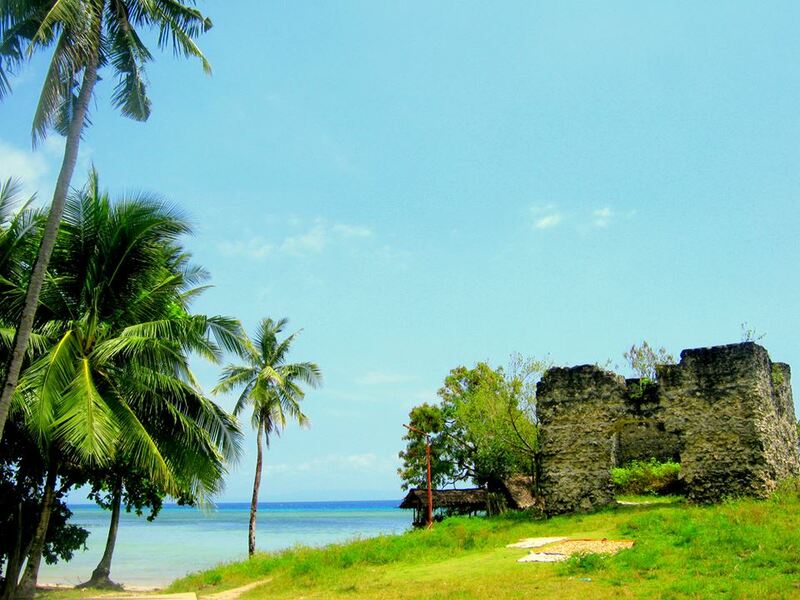 The beach and the watchtower is just in the vicinity where the Obong spring is. Nice descriptions of your travels. Thanks for sharing. I’m from Cebu but haven’t discovered all the different nice places to relax and enjoy.